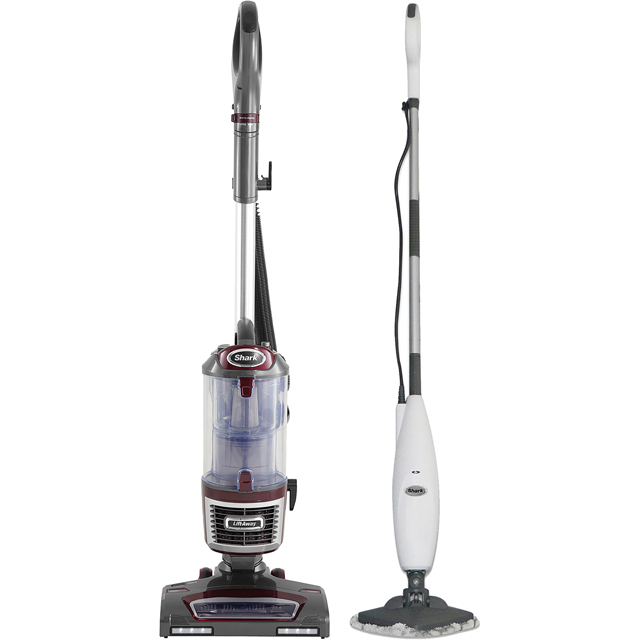 A power duo like no other, this Shark steam mop and bagless vacuum cleaner bundle helps you blitz through the chores in no time. Because the vacuum comes with a TruePet hair removal tool, picking up embedded fluff from carpets is easier than ever. And, thanks to Lift-Away technology, it’ll transform into a handheld with just a push of the button, letting you give the car a once over as well. When you’re tackling hard surfaces, the mop’s steam blast mode effortlessly removes the toughest bits of dirt, so you’ll never have to scrub again. The mop pads are double-sided too, and because you can simply pop them in the washing machine, you’ll rarely have to buy new ones. What a bundle, the products both arrive with quick start guides and in no time at all I had quickly and easily assembled both the shark lift away and the shark steam lite. The lift away is not to heavy and gave impressive results. Switching between my carpeted hallway and hard floor kitchen was simply a flick of a switch. I had already vacuumed my living room and kitchen this morning with my old vacuum , which I do every morning so really wasn’t expecting as much dirt to be picked up. The lift away section made the staircase a very simple job and no awkward balancing game. The steam lite was a dream on my kitchen floor and steam blaster shifted a stubborn spot with ease. Both units have swivel steering enabling easy manoeuvrability. 1 hour after taking delivery I have successfully set up both units vacuumed the living room and staircase as well as the hard floors in my kitchen and bathroom. I have then continued on to steam both hard floors as well. I couldn’t be happier with the results that the Shark products have produced. Thank you I couldn’t be happier ?? Fantastic piece of equipment! The best hoover I have Ever purchased the suction on it is amazing very, lightweight. The steamer is brilliant easy to use easy to manoeuvre lightweight and works fantastic on my hard floors. * S3255NV601UKT_WHBO was at the higher price between 11/03/2019 and 10/04/2019.